Business owners have a special set of concerns. Make sure you are on the path towards success. Let’s connect! A secure future requires growth and protection. The proper plan can make your business flourish. Let’s focus on the fundamentals. Training and retaining quality employees is on the mind of every owner. Bringing in new talent isn’t cheap and losing talent can cost you time and money. To stay competitive you must stay current. Most employees would choose a benefit package over a pay increase. Getting a quote that suits your needs is easy and free and can save you time and money. What happens to your business if you are gone? You put in the sweat and you put in your heart. What would happen if you could not work? Would the business dissolve or would it continue? Setting up a contingency plan to navigate the tough times is essential for the survival of your business. Injury, illness and even death could grind the business to halt, but not if you are prepared. In partnerships it is crucial to consider the impact of losing an owner. Would your partner’s spouse become a new shareholder if they died? Is that what either of you actually want? Securing coverage to provide proper transitions is key to a business running smoothly when the worst happens. Cash flow and investment is vital to the success of any business. You want to be able to take advantage of opportunities that may present themselves. Of course, there are always those unexpected costs as well. Having a solid investment strategy is vital to growing and thriving in the years and decades to come. Making sure we are there for your organization is our goal. Your prosperity is at the heart of what we do. Let’s grow together! It is important to understand your business’ past, present, and future. We can only do this by getting to know you and your organization. We analyze your situation with our team of experts. Proper planning requires care and consideration and our team takes pride in our process. We only propose solutions based on your needs and budget. Breaking the bank isn’t in your best interest. Let’s make sure you stay cashflow positive. We strive to make sure you evolve along with your business to stay on top of trends. As our industries change, we will be there with top notch service. Staying competitive while building your business is an admirable goal. Let’s make that happen today! "Joe is awesome! Always thinking about his clients and ways to meet financial goals in a non-aggressive and hassle-free way. 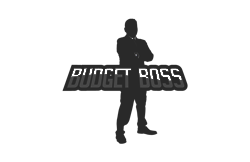 I highly recommend reading his Budget Boss posts and connecting with him directly to help make your financial situation better in real and practical ways!" "I found Joe to be very knowledgeable and extremely professional. He helped us with our mortgage and investments but also our monthly budget. He is always prompt and respectful of our time. I'm am glad he has our back's when it comes to our financial plan. " "I was always wary of the financial services industry. That is until I met Joe. He is always on the lookout for ways to save us money and most importantly, time. He has become a member of the family in the short time we have known him. I know my wishes will be handled with great care. Highly recommended for sure!" Please enter your details below and we will be in touch.